Hero MotoCorp says the Passion is its second largest commuter brand after the Splendor, and the number of Passions on our roads bear testimony to that. For 2018, the Passion Pro gets a slightly more powerful engine along with mild styling updates. The Passion Pro is a 110cc commuter motorcycle that was launched as a more stylish alternative to the Splendor. 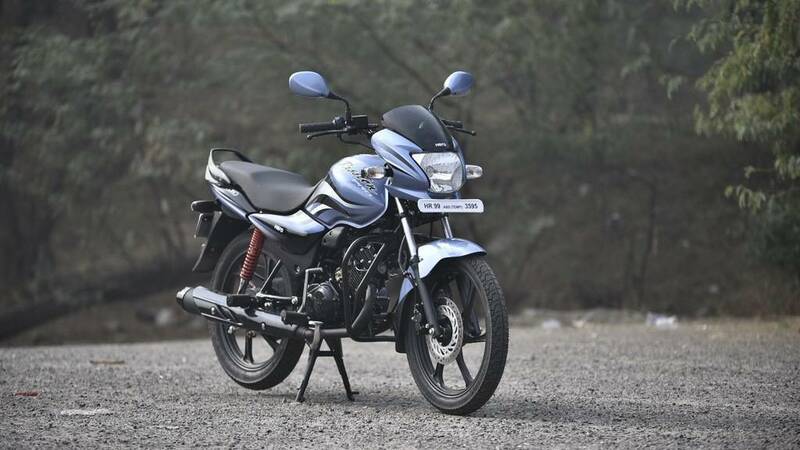 The Passion has always been one of the best looking motorcycles in the 110cc commuter segment and timely updates have ensured it looks as appealing as ever. The Passion Pro continues with its curvy design for 2018. I particularly like the design of the fuel tank and the graphics that add to its appeal. The overall theme is curvy, right from the biking fairing to the fuel tank to the rear seat cowl and the new tail light. The Passion Pro thus continues to be one of the most stylish looking 110cc commuter motorcycles. 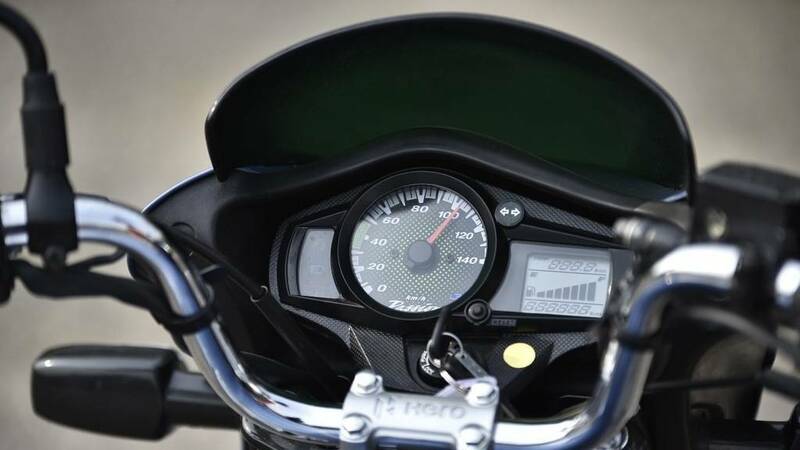 It also features a new part-digital instrument cluster that integrates digital readouts for the odometer, speedometer and fuel gauge apart from a side-stand indicator. The Passion Pro is powered by Hero's new, vertically inclined, 109cc air-cooled single cylinder engine that debuted on the Splendor iSmart last year. Hero claims it is 12 percent more powerful than the older Passion Pro's engine. Outputs stand at 9.5PS and 9Nm (the older engine produced 8.36PS and 8.05Nm). Like its siblings, the Passion Pro also benefits from Hero's i3S technology to improve fuel efficiency using the manufacturer's patented start-stop system. Hero has also equipped the Passion Pro with a maintenance-free battery now. Also new is an underseat mobile charger, though buyers will have to purchase it separately as an accessory. The 109cc engine is among the smoothest as far as 110cc commuters are concerned. As a result the Passion Pro barely has any vibration, even close to the top of its rev range. Performance is adequate and gear ratios are spaced well to not call for constant gear changes. There's a likeable feel to the handling, particularly thanks to the bike's light weight and the engine's response to throttle inputs, an area it has always bettered the Splendor in. The Passion Pro comes with the option of a front disc brake, and its 240mm disc offers a progressive feel that should be welcomed by inexperienced riders. The suspension setup feels good to tackle bad roads while also inspiring confidence when it comes to making quick directional changes in traffic. 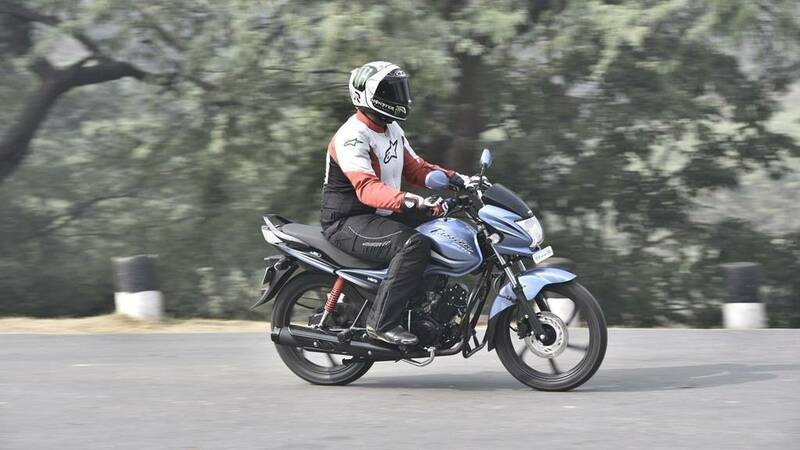 The Passion Pro has always been a well-accomplished commuter and it continues to be the stylish 110cc commuter it has always been, while the cosmetic and mechanical changes it has received for 2018 help in making it feel fresher. Hero clearly believes there's still some time before the Passion Pro would need a complete overhaul and having ridden the bike in its newest avatar we cannot help but agree. It comes across as a likeable, well-built commuter for someone wanting a stylish looking motorcycle without having to compromise on fuel efficiency. The bike will go on sale early next month and we expect Hero to price it just over the Splendor iSmart, at around Rs 54,000.